The PlayStation Network Card helps your know how much your spending without linking a credit/debit card to your online gamer account. 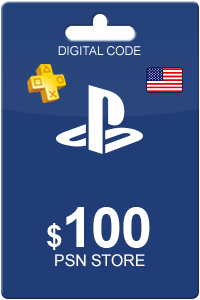 When you purchase and receive your code online, your account will be credited with USD 40 for you to purchase a variety of items on the PlayStation Store. Within the store, you will have access to purchasing full games, full movies, music, different avatars and much more. 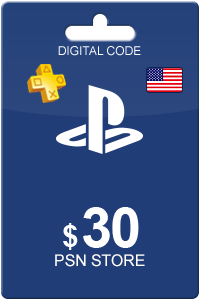 The PlayStation Network Card is available with any device which has access to the PlayStation Store such as PSP, PS3, PS4 and PS Vita. Putting in an order for your PlayStation Network Card is easy. Everything is done online. Simply provide us with your basic information and a payment. Upon payment completion, you will receive a redemption code on your computer screen. Just in case, we will also send the same code to your email address for future reference. Sådan køber du Playstation Network Card 40 USD? At købe Playstation Network Card 40 USD fra Livekort.dk er lige så let som 1 2 3! Du skal blot indtaste din emailadresse, vælge en betalingsmetode og fuldføre betalingen! Vi har nogle af de billigste Playstation Network Card 40 USD på markedet.